Homeowners insurance can be a monthly expense that you question when you review your budget. Maybe you’ve had trouble collecting on claims without insurance claim assistance in the past, or the benefits of paying for coverage are not obvious in your day-to-day life. Before you consider forgoing homeowners insurance, let’s review the reasons it might cost you more to do without. If you have a mortgage or lien on your home, you will be required to carry an insurance policy that covers the balance of your mortgage. If you don’t find your own policy, the lienholder is allowed to purchase insurance on your home and charge you for it. It’s no surprise that these bank-purchased policies are at a high cost to you and give you no choice in coverage exclusions or limitations. If something happens, the bank will be paid, and you will be left with very little. Paying your bank to make your coverage choice can be far more expensive than making your own. Insurance companies deal in risk assessment. They look upon your choice to go without homeowners insurance as risky behavior, and the longer you go without, the more risky you become. The higher the risk, the higher the premium. You may wind up having to prove yourself with a high-risk insurer before other companies will issue a policy to you. Going without might be very costly if and when you decide to reinstate your policy. The cost of your home when it was built, or when you purchased it, is probably not the current value. Your original investment should not be mistaken for your replacement cost. Even if you have saved up the original amount, you may not have enough to rebuild at today’s prices. Worrying about whether you will receive fair treatment from your insurance company shouldn’t stop you from taking advantage of the protection they provide. Insurance companies are in the business of making profits, but if you need to make a claim, or are worried about how to appeal homeowners insurance decisions, you can reach out to an experienced insurance claim attorney to make sure you are fairly compensated for your losses. Liability coverage is included in almost all homeowners insurance policies. This will protect you from unexpected lawsuits caused by dangers around your home. Imagine you were waiting for a sunny weekend to fix the back steps, and a delivery person falls off them today. Since you knew about the unsafe stairs, without an insurance company to investigate the claim and settle it, you might be personally responsible for medical bills that could wipe out your assets. There’s more in your home than its sticks and bricks. The costs of rebuilding your home out of your own pocket should include replacing everything inside as well. Your emergency fund will have to cover full replacement costs. Insurance that covers only the depreciated value of your belongings (like a three-year-old TV and a five-year-old riding lawn mower) will only pay you what that used item is worth now. Only guaranteed replacement coverage will pay for new versions similar to those that were lost. It would be difficult to have a savings fund sufficient to cover all of the replacement costs of your home, landscaping, outbuildings, and personal possessions, but it is almost impossible to guess what accidents might happen on your property and what lawsuits might be brought against you. Do you have that much tucked away? There’s really no way to prepare financially for every contingency. If you choose to go without insurance, you may have to take a financial blow from which it will be hard to rebound. What Happens to Those Who Don’t Have Insurance? Those who face losing their home to storm, fire, flood, or other disaster may take years to recover without insurance claim assistance. Rebuilding costs may skyrocket after a natural disaster, and in the meantime, you will bear the full costs of living in a hotel, eating out, and replacing your essential items. If someone is injured in your pool, at your backyard barbecue, or on your swing set, you might end up paying injury settlement payments into the distant future. You could lose your savings or retirement assets to pay for their medical costs. The monthly expense of maintaining protection on your most expensive and most vulnerable asset begins to look small compared to the costs of going through these experiences without the emergency support homeowners insurance provides. Most policies include coverage for fire, theft, and liability. Reading through the policy and asking questions will help you decide what other types of coverage you need to add. If you live in an area with tornadoes, brush fires, earthquakes, or flooding you will want to discuss those specific needs with your provider. Flood. With a limited height above sea level, flood insurance is a must for Florida residents. Hurricane. Named storms are not covered under storm damage in basic policies. 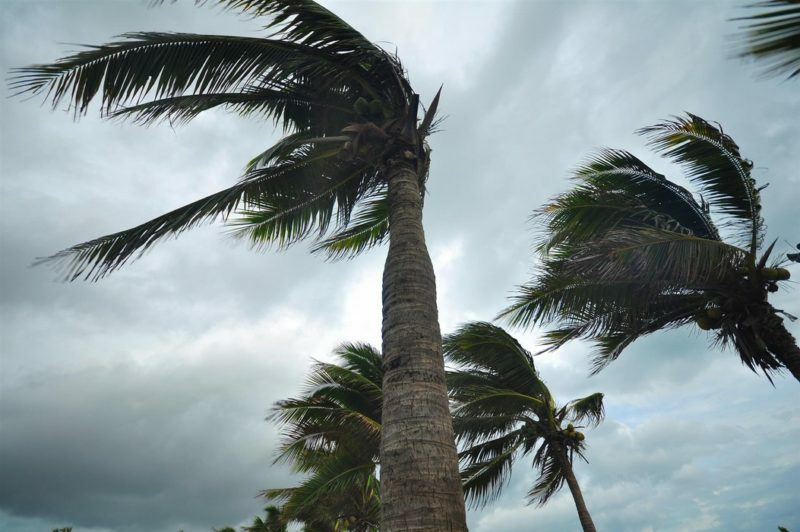 As soon as a hurricane is named, the damage it causes may not be covered unless your policy has specific hurricane coverage. Mold and Mildew. With Florida’s damp conditions and frequent rain, mold and mildew might make a home uninhabitable. This protection may be expensive but will prevent paying for an even more costly process to eliminate dangerous spores. Sewage Backup and Plumbing Leaks. High water levels can cause pipes and drains to back up into your basement. Leaks can damage any part of your home. Without coverage, a plumbing leaks damage claim or sewage backup claim may be denied. When it comes time to make a claim, remember that this is the reason you invested in insurance. Your insurance company should be helpful and speedy in providing you full coverage for your losses and living expenses. While the value of your purchased policy may be high, keep in mind that the insurance company wants to keep the costs of claims as low as possible. If your claim is of any significant size, you may want the advice of an insurance claim attorney to ensure that you aren’t missing something significant. Accepting an initial low-ball offer might leave you unable to replace your home and belongings. At this critical emotional juncture, it is best to have expert advice to make sure all your needs are met. Many people take the first offer from their insurance company because they don’t know how to dispute a homeowners insurance claim. They don’t have their own experts to counteract low estimates and missed costs. The number may sound large, and they may be traumatized or emotionally drained and want the situation to be over as quickly as possible. It isn’t until that inadequate payment is gone that they realize they should have had their own expert look over the offer. Even worse than a low-ball offer is a valid claim being denied. Nothing but excuses will be offered, leaving good people who have paid their premiums for years wondering how to fight the home insurance company. Engage an insurance claim attorney if your claim is denied. The insurance company has their lawyers to argue their case, you need your own to defend your rights to full coverage. When you consider the value proposition of buying insurance, it is important that the outcome be as promised. The protection you paid for should be provided and your valid claim should be paid. Following up with an insurance claim attorney will ensure your investment pays off when you need it. If you have been wrongfully denied or underpaid, or just want an expert to look over your policy before you file an important claim, reach out to us. At Silver, Bass & Brams we don’t get paid unless you do. Our team of lawyers has experience working for the big insurance companies and knows what tricks and techniques they might use to give you less than you deserve. With our compassionate advice and assertive action on your behalf, there’s no need to go into the claim process alone!